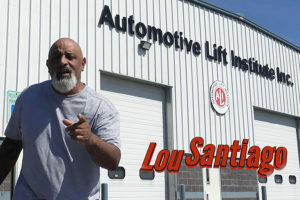 In the series, Santiago gives a behind-the-scenes tour of the new LiftLab facility at ALI’s headquarters in Cortland, New York. Along the way, he shares lift safety tips and highlights a couple of cool vehicles in the facility: a 1969 Plymouth Road Runner and a 1946 Brockway heavy-duty truck. As part of the video series campaign, ALI is offering a free pair of shop safety glasses with every order of the new Safety Tips Poster that Lou highlights in the first episode. 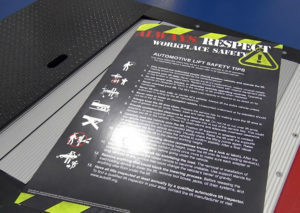 The 30-inch by 45-inch poster outlines 13 tips for safe lifting, including lift operation, maintenance and inspection. It is available in packs of two for $38 with free shipping in the U.S. The free safety glasses offer is good in the U.S. and Canada through August 21, 2018. New episodes will be posted to the ALI YouTube Channel on July 31, August 7 and August 14.